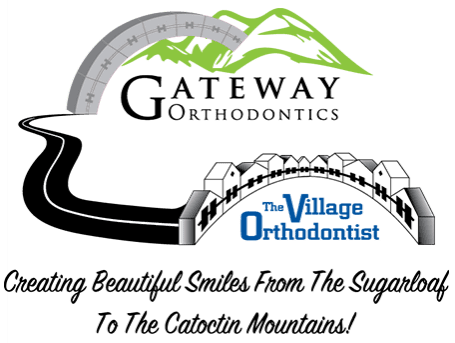 The Village Orthodontist takes great pride in being able to offer you and your family the world's most advanced orthodontic analysis and treatment tools, as we are the first practice in Frederick County to incorporate i-CAT® 3-D digital x-rays into our office. Not only are our technicians considerate and friendly, but also experts in chair-side clinical assisting, infection control and digital radiographic procedures. Each technician is also licensed in the state of Maryland as Certified Orthodontic Assistants and Dental Radiation Technologists, and looks forward to helping you obtain the perfect smile. If you're interested in learning more about the capabilities of this cutting-edge technology, check out the information we've provided below. While CT (computed tomography) imaging has been used in the medical field for over 30 years, it has has also become an incredible asset for orthodontic analysis, diagnosis and treatment. Dr. Moles uses the revolutionary i-Cat Cone Beam 3-D Imaging System to provide patients with a comprehensive and detailed treatment plan. With i-Cat imaging, Dr. Moles will share your scans with you during your appointment, so you can address any concerns right away and make informed decisions about your course of treatment. This CT technology can provide an incredible range of three-dimensional data with just a 15-second scan, allowing Dr. Moles to make an extremely effective and precise diagnosis. We perform the scan in an open and comfortable environment, so there’s no need to be nervous before your appointment. It will be over before you know it! These quick, yet extremely detailed scans reduce the number of times you need to visit the office, which will save you time and money in the long run. The i-CAT Cone Beam also limits your radiation exposure, by releasing 90% less radiation than traditional X-ray machines. The end result is crystal-clear digital images that can quickly and easily be shared between doctor and patient, allowing collaboration on care like never before.